How about something new in your yard for the new year? If you are looking to add a little bit of interest in your landscaping while also limiting the amount of maintenance needed, a rock garden just may be the way to go. 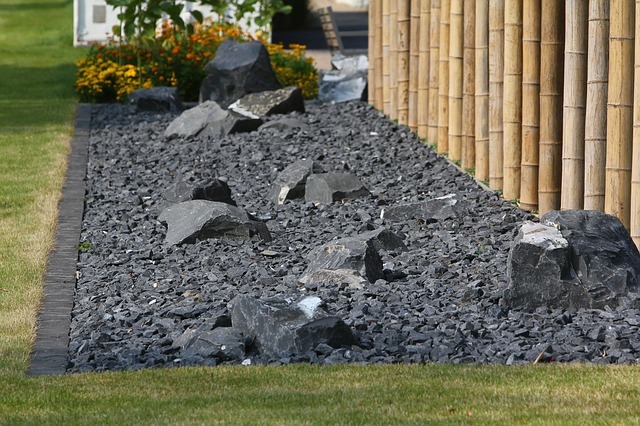 A rock garden has the added benefit of being impenetrable by almost all weeds if it is set up correctly by using landscaping cloth, rocks and gravel. A MN landscape design and installation contractor can handle this for you, but if you’re a devoted DIY fan, here are some tips to create a beautiful rock garden yourself. These are the same basics we use. Make sure that you do not place your rock garden over any septic, sewer, water, or utility lines. You may need to consider the amount of sun your planned spot gets. If you plan to use plants in your rock garden, it will require several hours of sunlight a day (unless you choose shade-loving foliage plants). If you are not planning to use any plants, you will be able to place your rock garden anywhere. Using landscaping cloth can help with weed control. Place the rocks and gravel on the top of the landscaping cloth to create a barrier for weeds that will attempt to sprout out. Using an herbicide on the area before you put the cloth down will further cut down on potential weds. Edging used as a border will define the boundaries as well as assist with weed control. Edging installed flush to the ground will make mowing along its sides much easier. It’s called a rock garden for a reason – the major components are rocks. The most interesting designs include a variety. Note the photo at right – this rock garden consists completely of rocks in the same basic color tones. The visual interest comes from both the contrast to the light colored fence and the surrounding lawn as well as the different sizes, heights, and textures of the rocks. Large rocks or boulders – Scale the size of large rocks and boulders according to the size of the area that you will be creating your rock garden. You will want at least three large rocks or boulders in order to create the eye as well as establish a base for placing plants, gravel and smaller rocks. Medium to small rocks will add texture – Select smaller rocks that are similar in scale to your larger rocks and boulders. Try not to mix to many textures or colors of the rocks. The goal here is to create a theme that will flow throughout your garden. Mulch and gravel – Use mulch or gravel in the open spaces that are between the larger rocks and your plants. These materials can also be used to create pathways to – as well as within – your rock garden. Just because your rock garden can boast about a lack of weeds does not mean that it must be free of all plant types. You can get very creative and add plants that are very well suited for your climate, as well as creating an easy, low maintenance, environmentally friendly yard. Plants like succulents thrive in rock gardens, and container plantings set among the stones also are an easy-care way to go. If all this sounds like just too much work for you, speak with us today to find out how we here at Architectural Landscape Design are able to plan and implement your new rock garden. We can work with you to design a space that will truly stand out. For some inspiration, check out our Rockin’ Rock Gardens board on Pinterest, and then let’s talk!